Reclaim! Rebuild! Remember! Long ago, your ancestors built great cities across the world. Now, your tribe of Delvers must explore forests, deserts, islands, caverns, and mountains to find these lost cities. 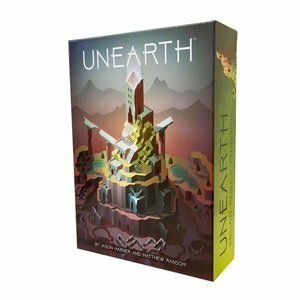 Claim the ruins, build places of power, and restore the glory of a bygone age in Unearth, a dice placement game from the makers of Boss Monster.